LED panel of 120W in real consumption, composed of modules. 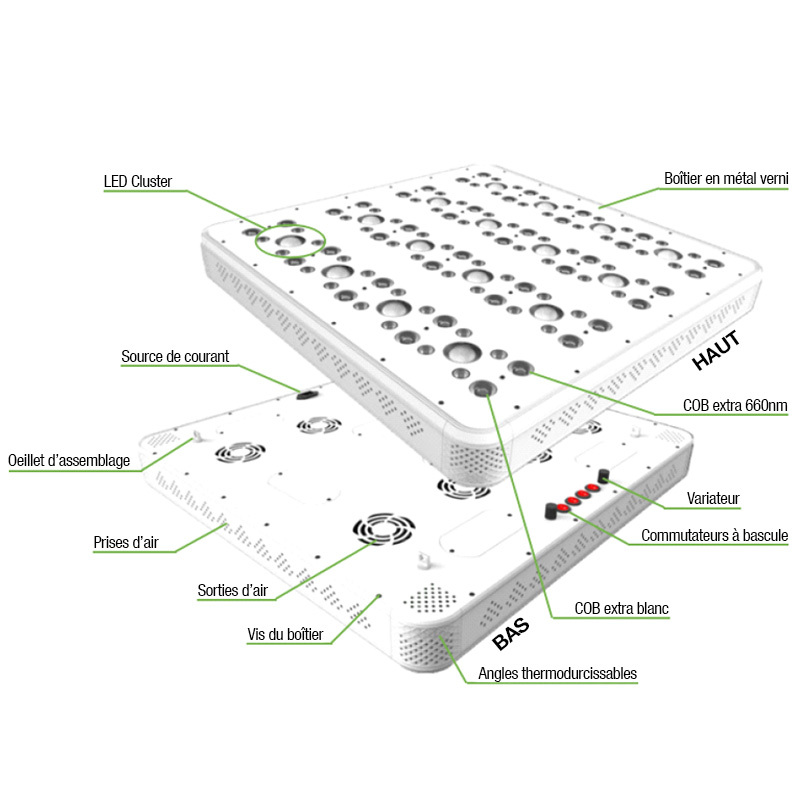 Each module contains 1 high efficiency COB + 4 LEDs of 3W. Indoorled's HPS Killer , as its name suggests, allows the light to be concentrated directly to the plants and gives a much more effective light than a HPS bulb. This device ensures a much more intense photosynthetic activity of the plants. The best way to measure this type of radiation is through the density of photosynthetic photon flux also called PPFD. The HPS Killer was exclusively designed for indoor use. The HPS Killer is equivalent to a 250W HPS bulb . Light efficiency of 1446 μmol . Calculation of PAR *. PPFD determined at 30cm, 60cm and 90cm in the areas of 40x40cm, 60x60cm, 80x80cm and 100x100cm respectively. Measurement of PAR * carried out inside a box in 600D Mylar fabric. Sample taken at 33 different points in an area of ​​100x100cm. 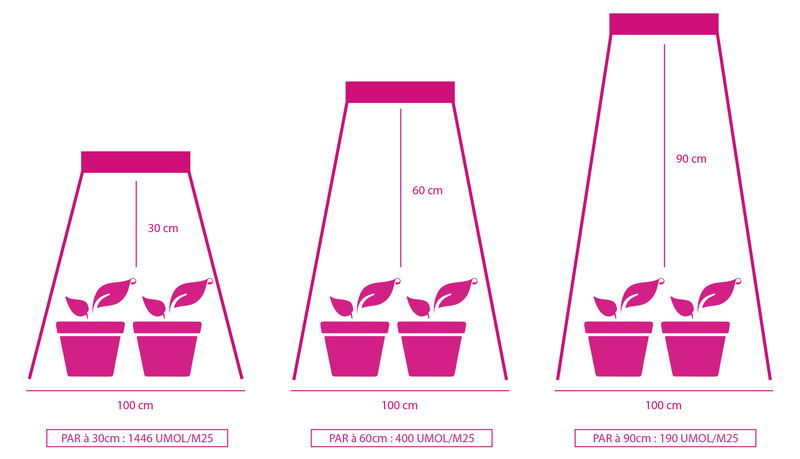 PAR * The light emitted by the LEDs calculated by the PAR (Photosynthetic Activ Radiation).